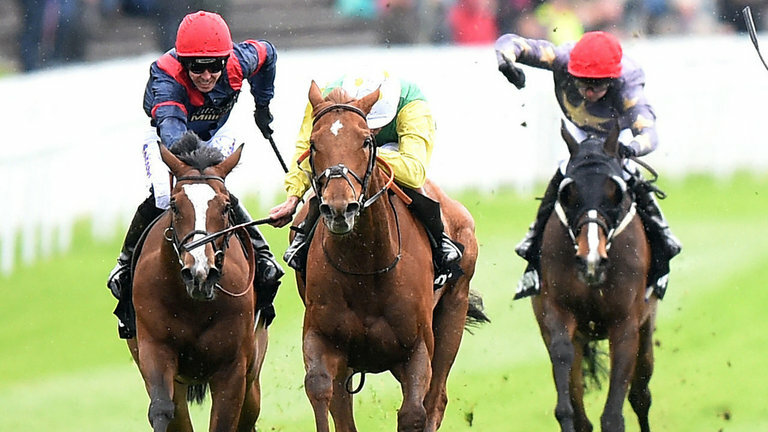 The Chester Cup, run over 2 miles 2 furlongs on the left-handed, circular course at the Roodeye, has thrown up winners at 33/1, 28/1, 14/1, 12/1 and 10/1 (three times) in the last ten years and that’s more than good enough to warrant a rare midweek ‘tilt’. Historically, a low draw is a necessity, so let’s start with the horse drawn lowest of all, Venue (40/1). After winning a small 0-100 handicap over 1 mile 4 furlongs at Haydock for Lady Cecil as a three-year-old, the Beat Hollow gelding made a promising start to his hurdling career for Donald McCain last spring and, although his subsequent efforts in handicaps this season has been less inspiring, he remains completely unexposed as a stayer on the Flat. The Cholmondley trainer makes life awkward by also saddling William Of Orange (20/1), but Venue can race off the same mark as when winning a Haydock, has no stamina issues and acts on good to soft going, so has plenty going for him if anywhere near his best. Le Maitre Chat (16/1), drawn in stall 7, has just a soft ground maiden win to his name, but ran an eye-catching race on his one and only attempt beyond 2 miles 1 furlong when a fast-finishing sixth of 34, beaten 2 lengths, behind Grumeti in the Cesarewitch at Newmarket last October. He’s 1lb higher in the weights and hasn’t been seen in public since last November, but should appreciate any cut in the ground and is attractively weighted if fit and ready to do himself justice. John Reel (20/1), drawn in stall five, ran well from stall 15 last year, when sixth of 17, beaten 5 lengths, behind Trip To Paris and is 1lb lower in the weights this time around. David Evans’ seven-year-old has yet to win a race of any description on the Flat, but both his wins under National Hunt rules came on soft going, so any rain would be in his favour. He’s still, arguably, a little high in the handicap, but Adam Kirby has a decent strike rate on older horses for the yard this season and he should be there or thereabouts.